can store important files and work progress, so they won’t have to worry when something goes wrong. Traditional backups (like disks and tapes) are still ideal for businesses with large amounts of data, but in any event of fire or system failure, you might find it difficult to retrieve lost business data. This is where the cloud becomes essential. Cloud backup, or online backup, is a new way of storing copies of your files without using any hardware and risking physical loss. Since your important documents are safely stored in the cloud, you can have access to it anytime and with any device. 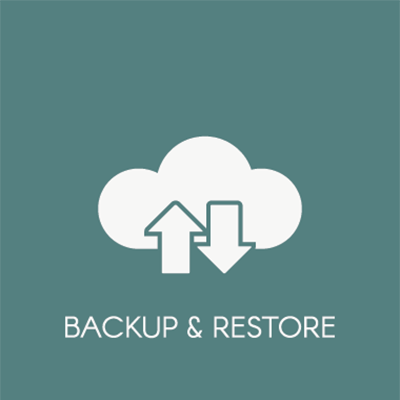 Here at HoustonTech, we can provide you with secure cloud backup services that are beneficial for you and your business. Protect your data with HoustonTech’s affordable and reliable cloud backup services. Our team of professionals will make it easy for your business to store vital documents, project progress, work logs, and more— all while making sure that your files are encrypted to avoid any unauthorized access. With our cloud backup solutions, it’s also possible to reduce your storage cost thru data deduplication and block-level compression. Now, you can focus on your business without thinking about possible data loss— with HoustonTech, you can be sure that your files are in a safe and stable place in the cloud. Give us a call and we will help you safely backup your files! Contact us at 832-630-4986 from Monday to Friday, 07:30AM-07:00PM, and let’s discuss the right cloud backup services for your business.